The Political Bureau of the Communist Party of China (CPC) Central Committee studied the economic work for 2019 during a Thursday meeting in the lead-up to a tone-setting central economic work conference, leaving clues as to the resilience of the Chinese economy. The Thursday meeting has been more positive in describing China's external environment than three other key Central Committee economic work meetings this year, according to a research note by CSC Financial, a Chinese investment bank. Mention of "important period of strategic opportunity" and repeated references to focusing on domestic affairs mean economic policies in 2019 will be more about addressing issues at home, the research note said. Commenting on the strategic opportunity, Haitong Securities senior researcher Jiang Chao said policies would advance the high-quality development of the manufacturing sector, cultivate a stronger domestic market and speed up economic reforms and opening up. "Despite the increasing downward pressure, signals from the meeting are not pessimistic," Jiang said. "The country should continue to seize the important period of strategic opportunity for development and seek an optimal policy mix and maximum effects." 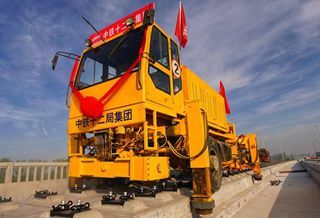 Upcoming policy plans will possibly increase the importance of domestic demand in driving economic growth in 2019, according to analysis by investment banking firm CICC. In addition, the country will stay firm in carrying forward its opening up following the plans made and pace set, CICC said. There will be sufficient favorable conditions for the economy in the next year, analysts said, citing the untapped potential of Chinese consumers. Analysts said the country's economy was increasingly driven by consumption with less reliance on international trade, a shift that it needs. The National Bureau of Statistics (NBS) on Friday unveiled a string of economic indicators showing a pick-up in investment and stability in consumer spending as China is set to meet its annual growth target. Fixed-asset investment, a major growth driver, expanded 5.9 percent year-on-year in the first 11 months, picking up pace for the third straight month from the bottom in August and exceeding market expectations. Retail sales of consumer goods posted a solid increase of 8.1 percent in November in part driven by robust online shopping. Given the encouraging trend, "there is no doubt that China will fulfill this year's growth target of around 6.5 percent," NBS spokesperson Mao Shengyong said, adding that the economy would have a sound foundation in 2019. Li Wei, head of the Development Research Center of the State Council, said China's steady and improving economic fundamentals were favorable for its development goals. "China can well handle the risks and challenges and maintain the healthy trend toward stable growth by giving full play to its advantages," Li said.